The Master in Professional Accounting Class of 2019 is here! The first week was full of introductions, career coaching, networking with employers, and delicious eats. Oh… and did I mention the SWAG?! All new traditional MPA (tMPA) students received t-shirts and McCombs backpacks. All new tMPA students arrived at the brand new Rowling Hall bright and early Tuesday morning. Steve Smith, the MPA Program’s Senior Director, kicked things off by welcoming everyone to Austin and the McCombs School of Business. You could feel the energy in the air as this group of students were in the same room for the first time… The #MPA19 Class was officially here! 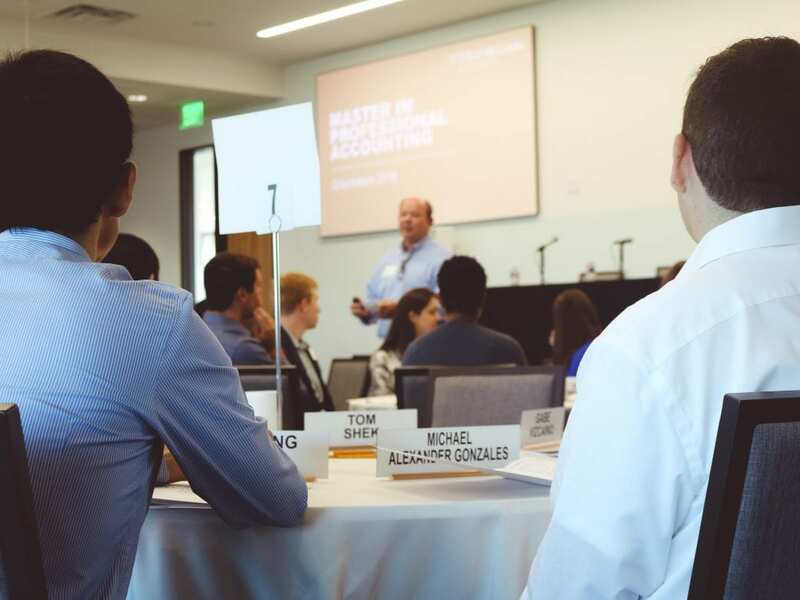 Steve Smith, Master in Professional Accounting Senior Director, welcomes MPA students to Texas McCombs at Rowling Hall. After introductions, Student Life presented on clubs to get involved in, and a few Accounting Faculty members answered questions and gave insights into the curriculum and the Program. One of the best parts of the day (besides the delicious buffet meal) was seeing the Faculty interact with the students during lunch. Over fifteen Faculty members sat with students while everyone enjoyed their meal. It was a great way to get to know the professors and lecturers before classes start. 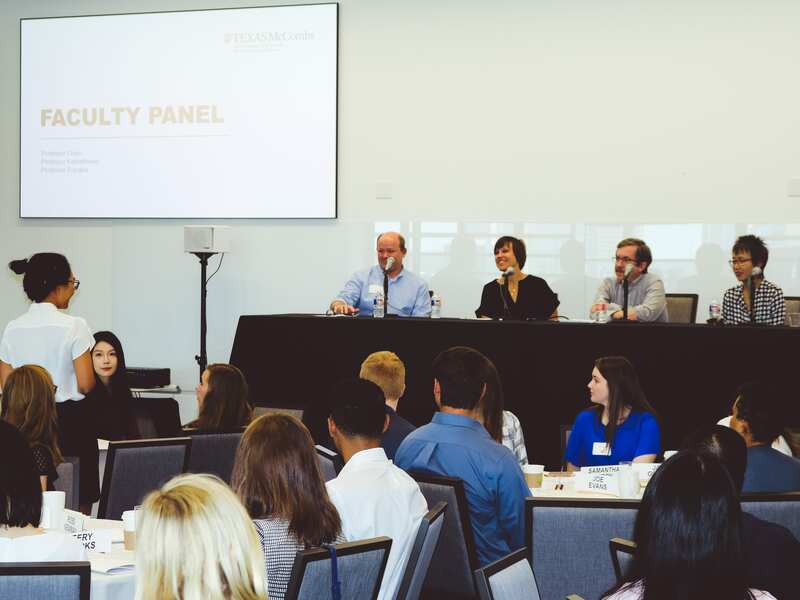 McCombs Faculty members answer questions from MPA students. After lunch, Aleks from the International Programs Office joined us and spoke about the Study Abroad Program. Let’s just say the students sure were excited about the opportunity to take classes in Buenos Aires or Prague. Who could blame them?! Students then transitioned into networking mode: the MPA Program Office Career Services team presented on recruiting and networking tips. (Who knew you are only supposed to shake hands with two pumps?) After some handy advice from Career Services, it was time to practice those networking skills. Students got to know each other by “interviewing” with their peers. MPA students practice their networking skills. We ended Day 1 by inviting a few Master in Professional Accounting alumni up on stage to share their MPA experiences and where they are today. A big thanks to our five alums who came back to McCombs to meet our new students. The MPA Class of 2019 also got together Tuesday evening for some pizza and bowling at Texas Union Underground thanks to the MPA Council (MPAC). 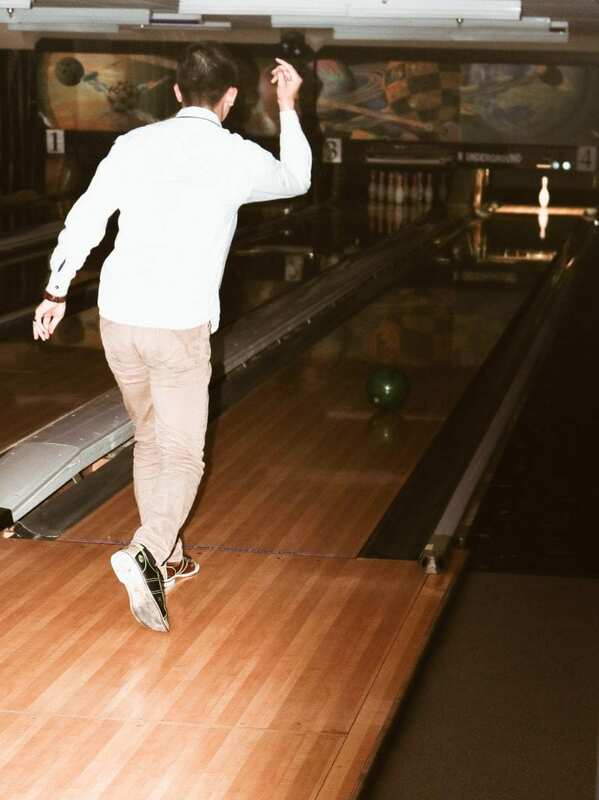 An MPA student bowls a strike at Texas Union Underground. And here they are… Meet the MPA Class of 2019! Congratulations on being accepted to the top-ranked accounting master’s program in the country. 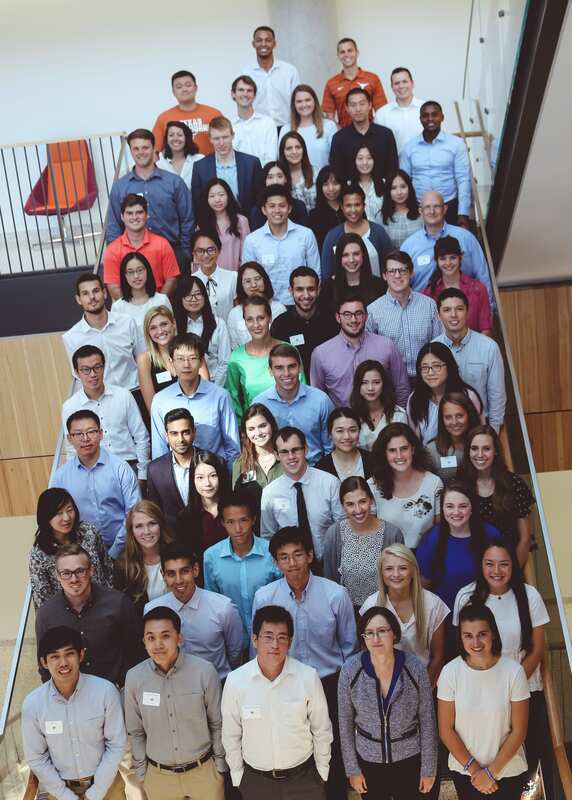 Welcome to McCombs, MPA Class of 2019! During lunch (which included a salad and the best chicken and rice entrée I’ve ever tasted), each organization sat approximately six MPA students so they could personally interact with the company representatives. So students could meet all of the 11 organizations present, there was a dessert reception after lunch that lasted about an hour. Master in Professional Accounting Students and employers meet during the dessert reception in Rowling Hall. 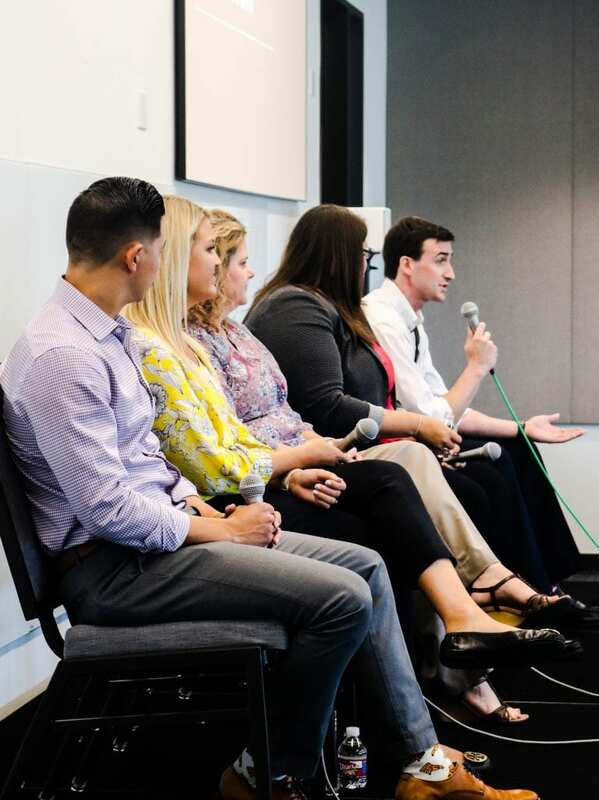 An Accounting Careers Panel and presentation from the MPA Career Services team rounded out the day with insider info from recruiters and experts on what they are looking for in hiring for interns and fulltime positions. Representatives from five organizations across the country joined us to learn more about their companies and answer questions from MPAs. All in all, I’d say Day 2 was a success! Now today was a fun day. 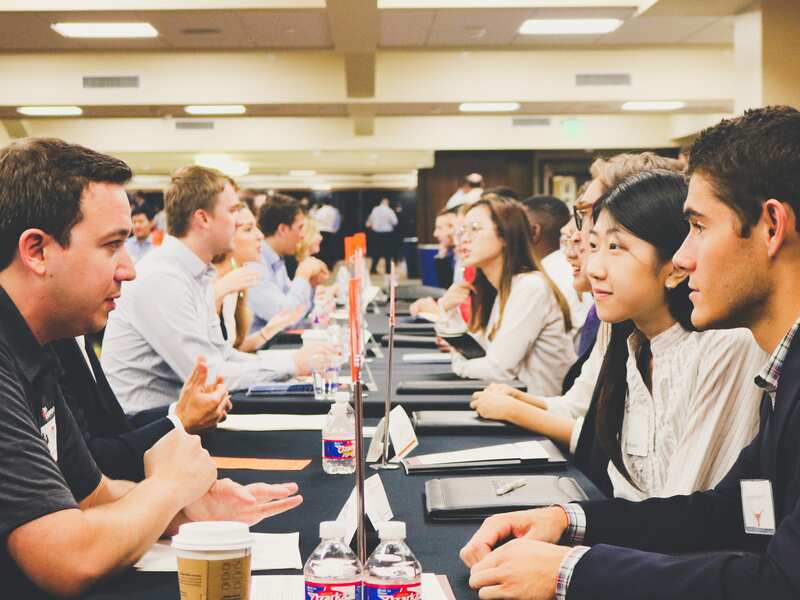 Not only were we located at an incredible venue where our top-ranked football team plays, but over 20 employers from across the nation arrived at Darrell K Royal Texas Memorial Stadium for a little networking with our MPA Students. 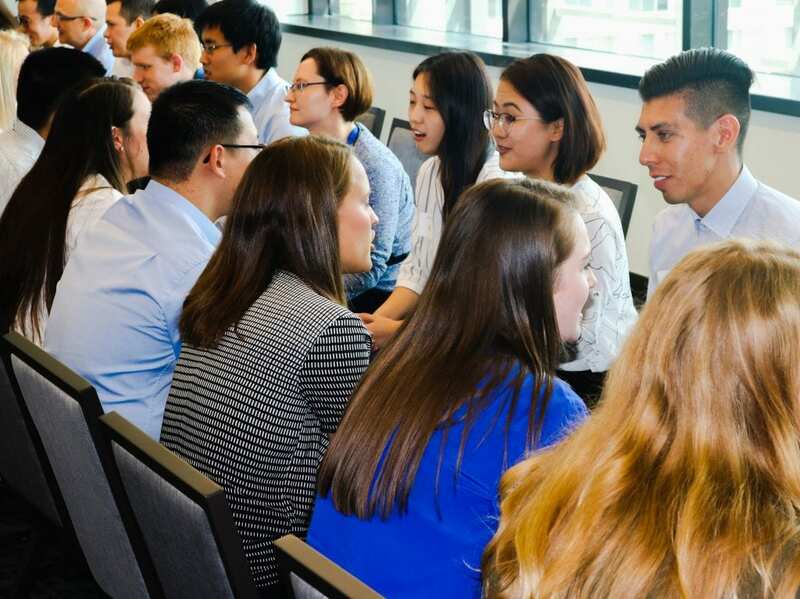 On one side of the room was Speed Networking: one employer met with two students, and after seven minutes, the Texas Fight song came on and students rotated to the next table to connect with a new organization. 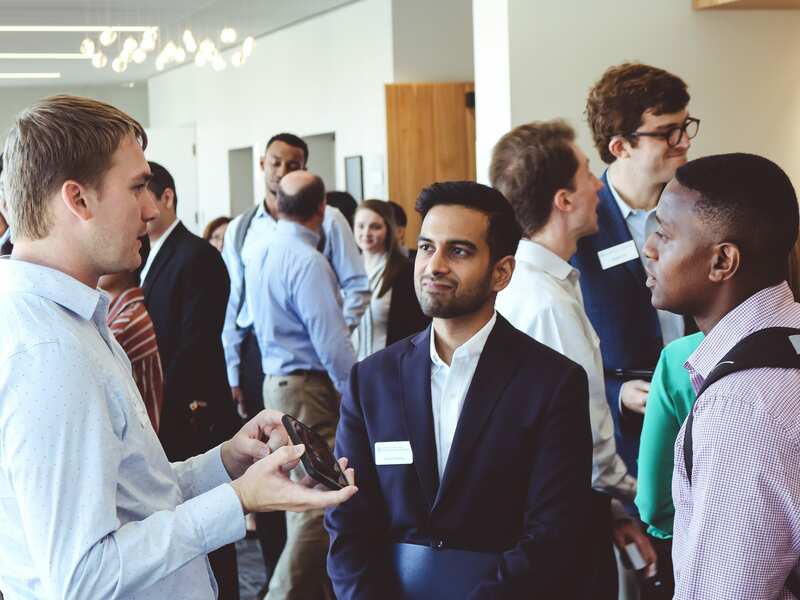 MPA students and employers connect during Speed Networking. On the other side of the room was an Open Networking area where more employers had the opportunity to chat with students in a less formal setting. This was an excellent way for MPA students to meet with organizations they are interested in working or interning. 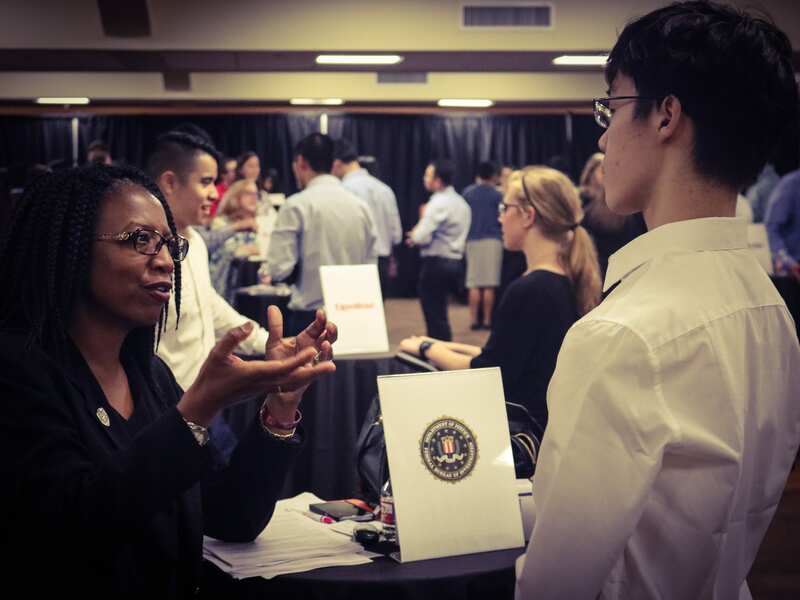 A representative from the FBI meets with a McCombs MPA student. Oh, and did I mention the breakfast tacos were plentiful? That concluded traditional MPA Orientation! Keep an eye out for how integrated MPA Orientation fares next week!